Crutchfield Park, still located at 1345 E. Independence St., was the site of a fight between greasers and soshes. 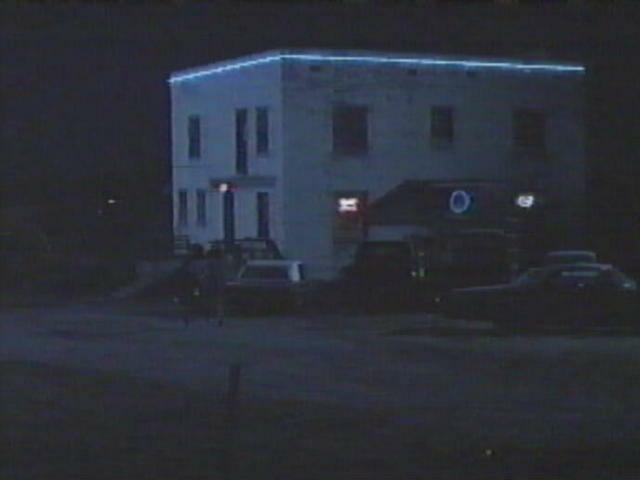 Does anyone know what bar/roadhouse this was? David Bagsby via email: "The bar location in question was a derelict building at the Stockyard exit off East 244. Lot of truck stops there now. I think it may be torn down." Bryan Crain said via email: "The white building stood at 161st East Avenue and Admiral. It was torn down about 7 or years ago. A micro-motel (hotel?) and a Burger King were built on the land where it once stood. I lived in the Mystery Bar back in 1965-1967. It was known as the "Rose Dew Egg Farm". In its day, it was a very nice house. Look at the second story and the last window to the far right. That is where the bedroom scene was filmed. That was my bedroom. There were 4 bedrooms upstairs and the house had a full basement with a coal chute for the coal burning furnace. It set on about 10 acres and there was a pear orchard on the land and two barns. It had a 2-car detached (block, like the house) garage. I had a roommate when the movie was filmed. He had lived in the other house in the movie (across from the fight scene) We thought it was pretty ironic that both our houses had been used in the movie. My wife, Lynne, lived in a house right behind the "Egg Farm House". She said her parents were upset when the egg house was being converted into a bar, because they thought that a real bar was going in. Of course they soon learned it was for a movie and everything was fine then. Lynne got to hop her fence and watch them shoot the scenes. 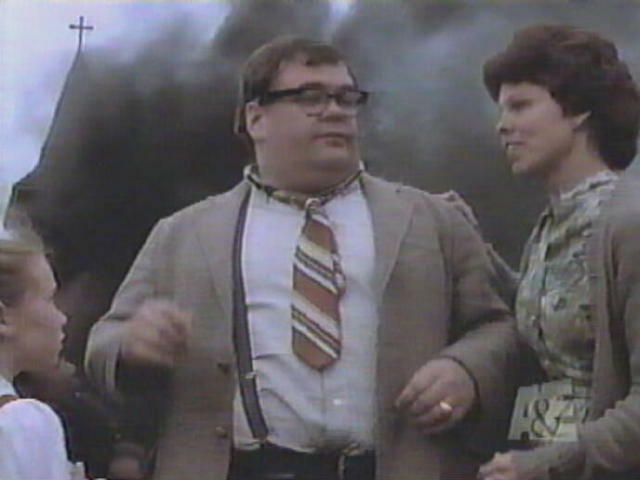 This man is no stranger to any Tulsan who watched late-night TV in the early 70s: Gailard Sartain, aka Mazeppa. 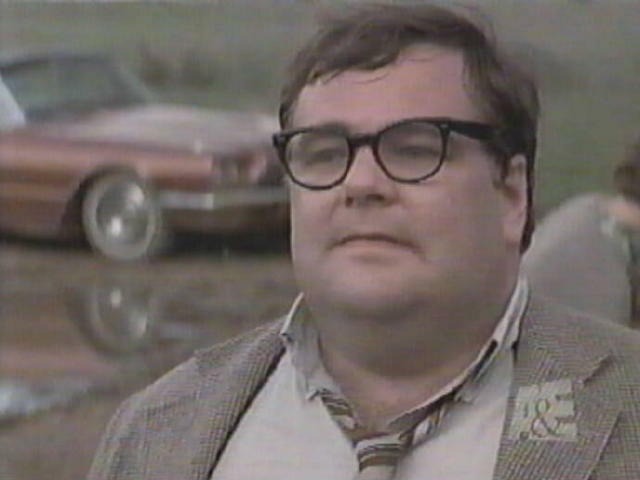 Tulsan Gailard Sartain has acted in almost 60 movies. He played a crucial role in "Mississippi Burning". 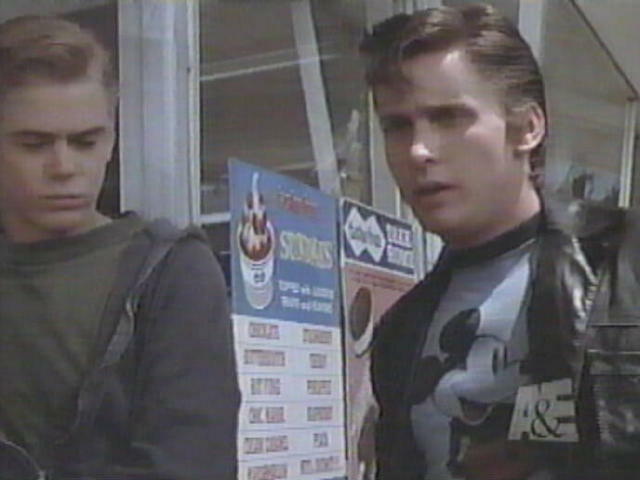 Ponyboy and Two-Bit hang outside the Owasso Tastee-Freez. Advancing soshes in the foreground; in the background: Ator Field in Owasso, across from the Tastee-Freez. Boston Avenue Methodist Church, an art deco landmark in downtown Tulsa. Started in the early 1920s, Oklahome Steel Castings at 1200 N. Peoria was the largest steel castings plant west of the Mississippi. At its height, it employed over 400 workers. It closed in the mid-1980s, but has been cleaned up and now houses a chemical packaging company. I've always been fascinated that in the production of the motion picture, they went to the trouble to make even the city bus as authentic as possible: note the "MK&O" logo near the door. 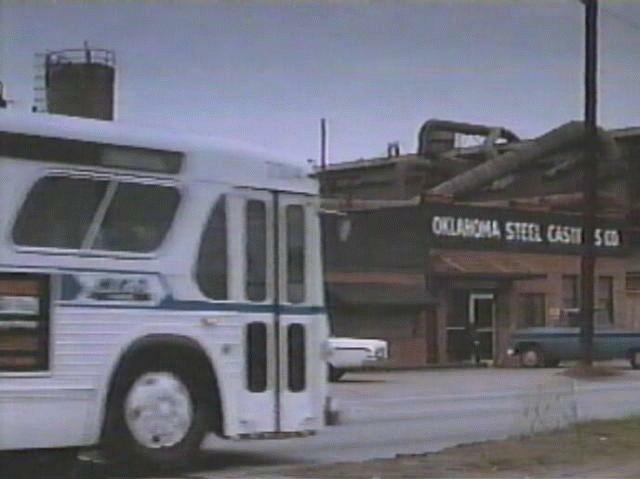 MK&O operated the Tulsa bus system for several years, including, I believe, during the time depicted in "The Outsiders," but had long since departed the local transit milieu by the time the movie was made. 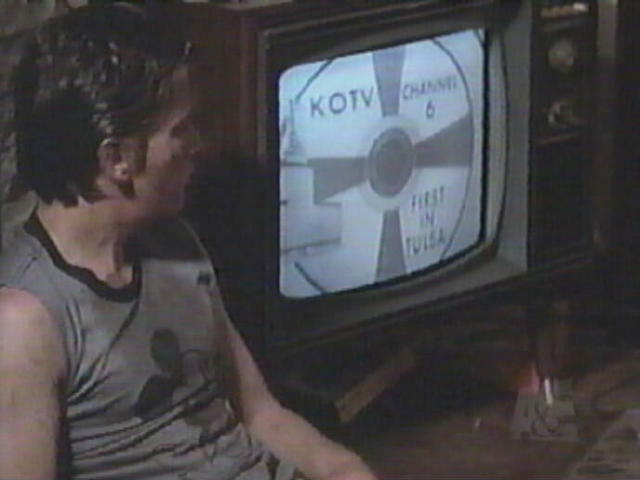 Of course, I had to include this shot of the KOTV test pattern. Author S.E. 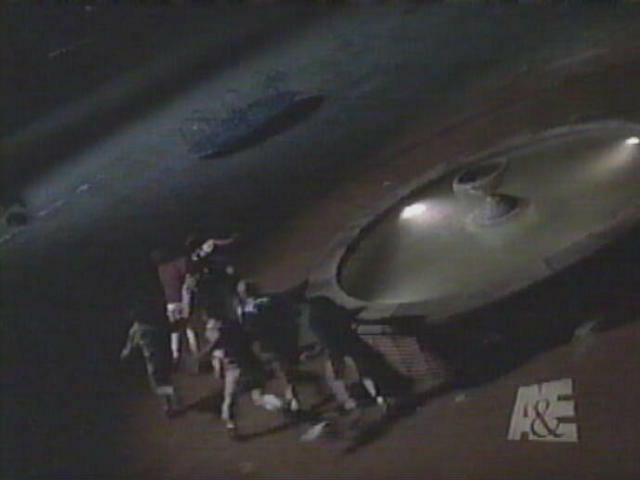 Hinton in her cameo appearance. 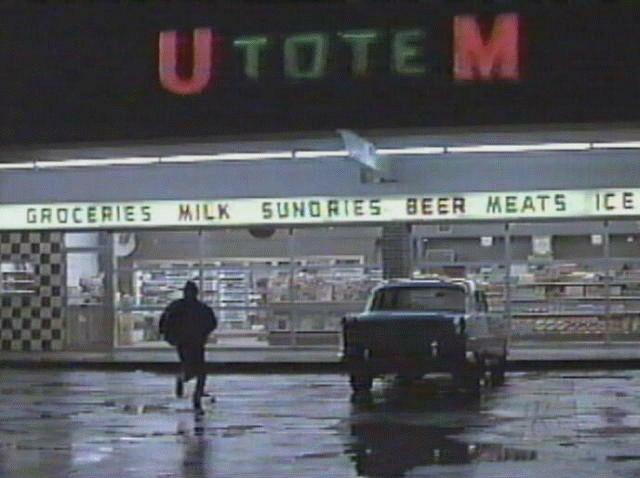 The UToteM stores were absorbed by Circle K in 1984. Anyone know which UToteM store Dallas robbed? 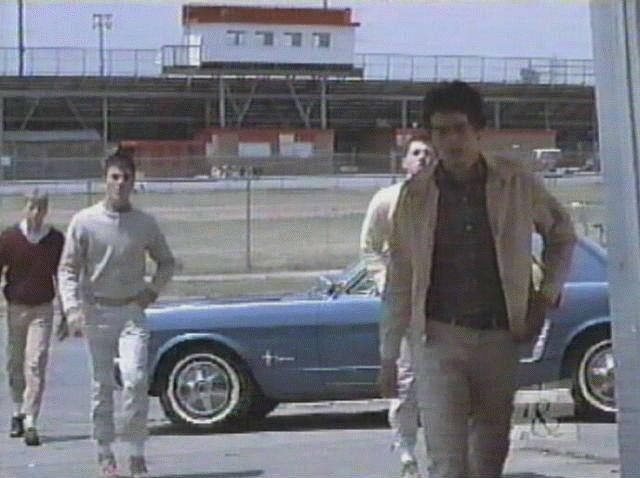 Bryan Crain said via email: "The UToteM in 'The Outsiders' was also in Owasso. I believe it was caddy-corner from the Tastee-Freez." 11/10/2006: However, Karen at the Outsiders Book and Movie site says that S.E. Hinton told her it was the one at 12th and Houston in Tulsa. Webmaster: In addition to Icees, our UToteM (near 117th and Admiral) also offered a tube tester.